In the video I suggest that you make the desk according to your size requirements, but here are the measurements that I used for the desk carcass: the base is 30-in. x 24-in. The rear piece is 8-in tall and the front piece is 5″ tall. These carcass pieces are white pine, but you can use different types of wood. 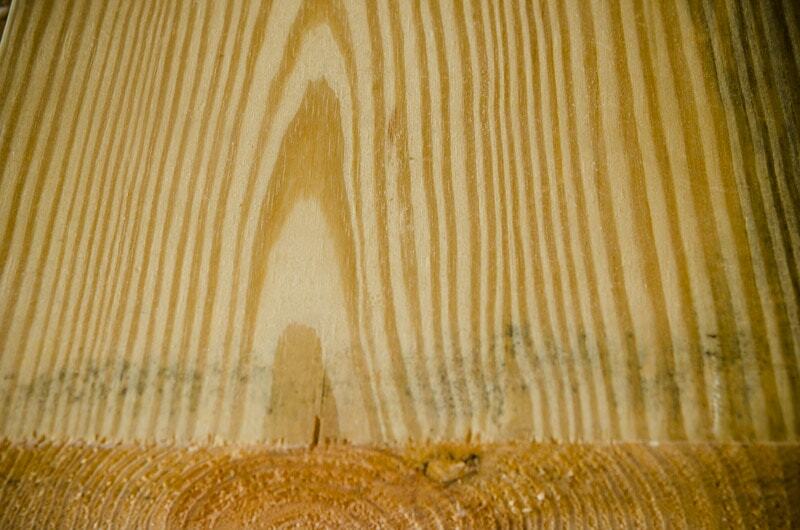 For beginner hand tool woodworking, pine or poplar is a good choice because they are easy to cut and handplane, and inexpensive to purchase. 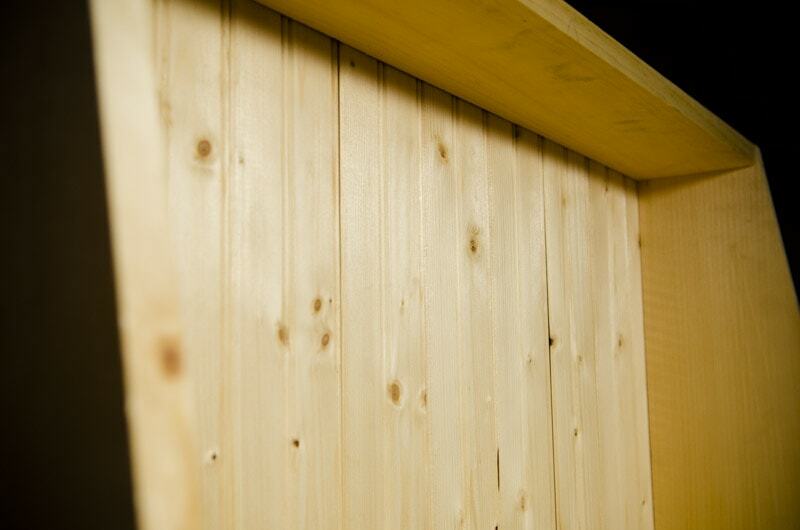 At my local home center I found some tongue and grooved pine bead boards to create the bottom of my desk. They are about 1/4″ thick. I made sure to leave a little space so they can expand during seasonal changes, but not too spaced out that I could see gaps of light. These were inserted into grooves that were plowed into the shell pieces. 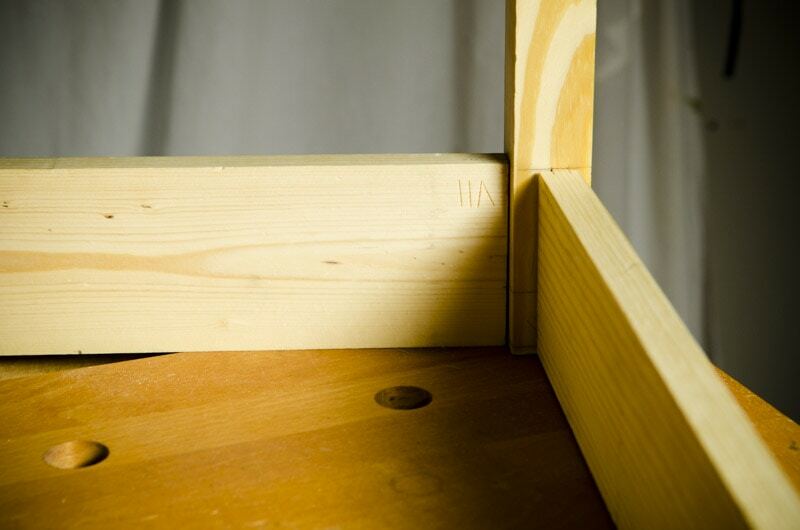 If you want an even more sturdy desk bottom, then you can mill up boards and use ship lap joints or tongue and groove joints, both of which I’ve done video tutorials on here. 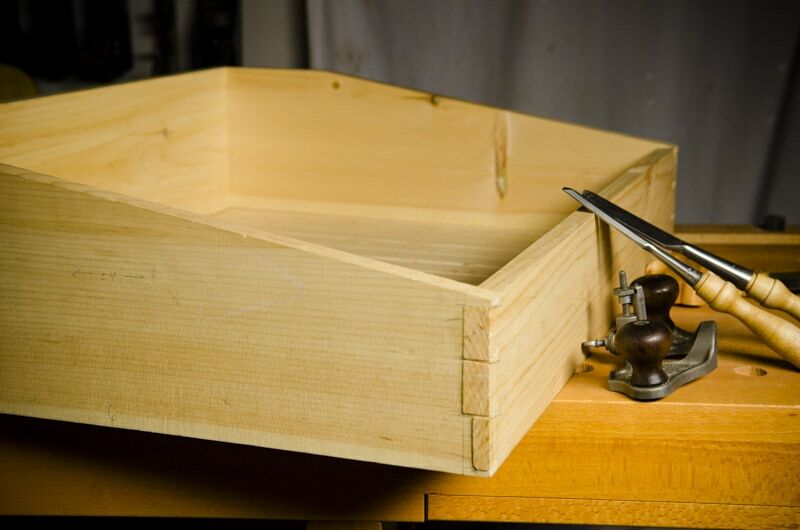 I won’t cover the details of the desk carcass as much as the other parts of the desk because I’ve covered much of it in the above dovetail tutorials. 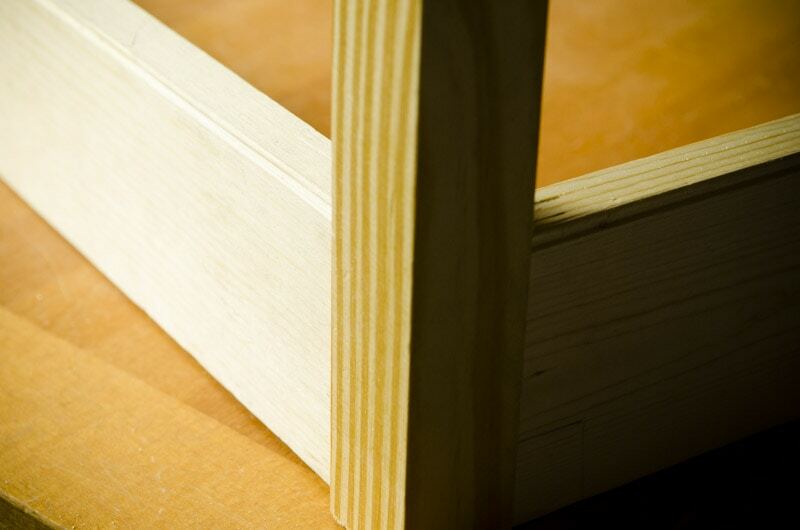 The legs and skirt are held together with double-sided mortise and tenon joints, which I’ll show you how to do in great detail in the next videos. The skirt is made from white pine and the legs are made from Southern Yellow Pine, but again, you can use most any type of wood. 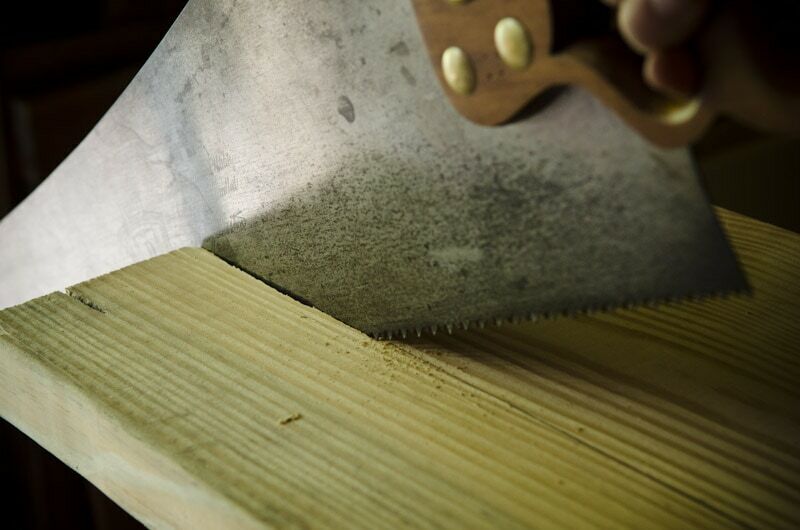 I have created a very detailed tutorial on how to square up boards with hand tools, like hand saws and hand planes (here). 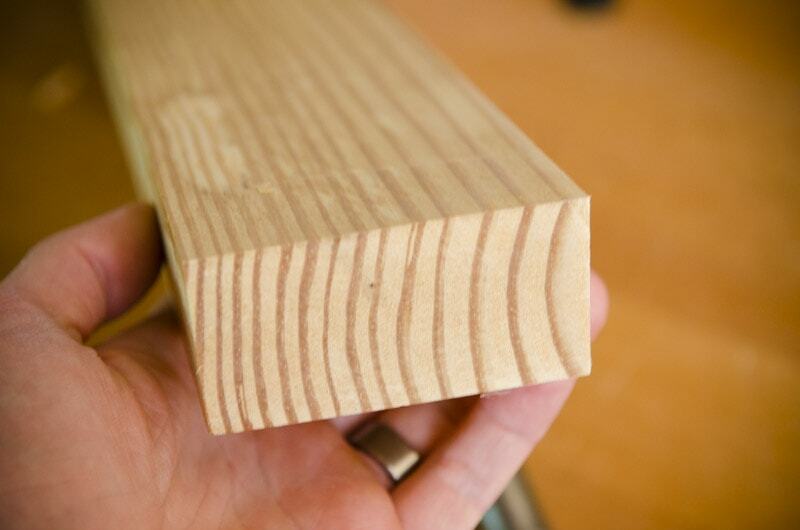 You can also use some basic power tools to square the boards. 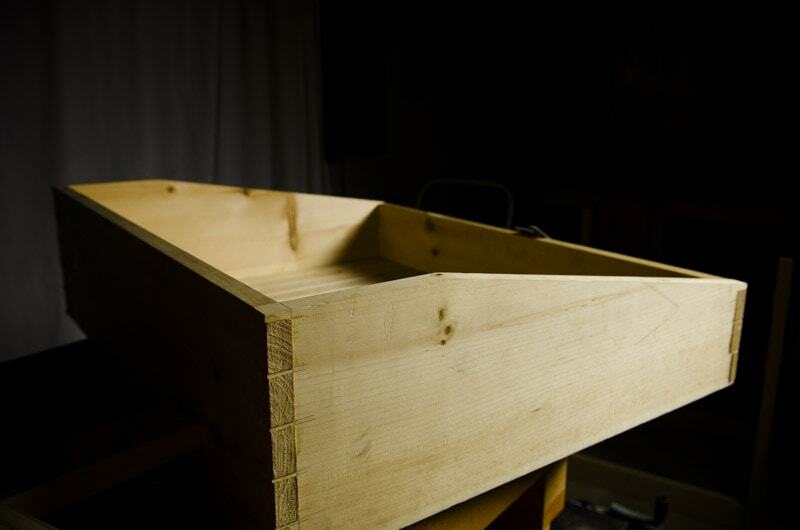 On smaller projects I normally square my boards with hand tools, but larger pieces of furniture like this can really be sped up by using power tools, so don’t feel guilty using power tools (jointer, planer, table saw) for milling your boards square and straight! You can even mix power tools with hand tools, depending on which tools you have, but I highly suggest that you use hand tools for the joinery. 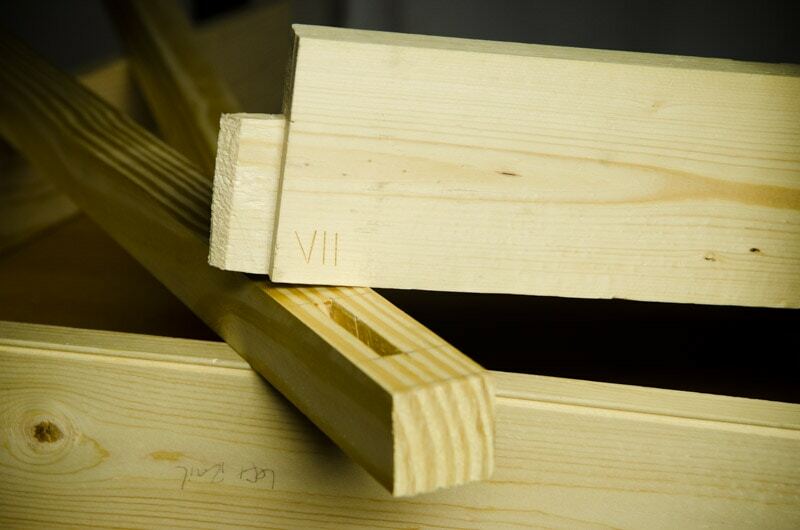 You’ll notice that I use my chisel to make roman numerals to keep track of which mortise goes to which tenon. 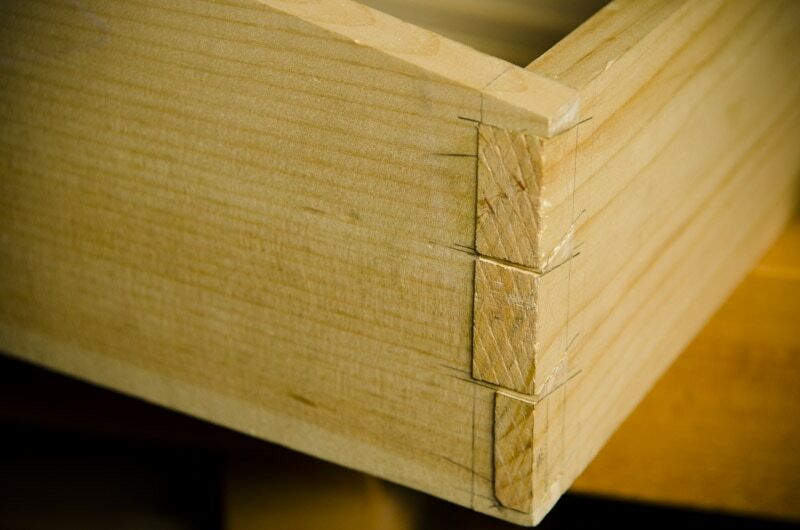 If you need more clarification on cutting mortise and tenon joints, then please see my mortise and tenon tutorial here. In the following videos I’ll build the base (legs, skirts, stretchers), peg my tenons tight with a technique called drawboring, build the lid, and apply an antique-style painted finish. Please pin this image to your Pinterest boards!